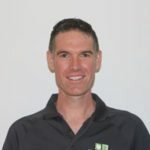 Luke is an Otago graduate dentist with over 15 years of clinical experience in cosmetic, restorative, and implant dentistry. His attention to detail gained him the Leask Memorial Medal for Conservative Dentistry and the New Zealand Society of Periodontology Prize. Luke provides a wide range of dental treatment and has a special interest in restoring worn midlife teeth, dental implants, and offering dental care with IV sedation for apprehensive patients. Outside of work, Luke enjoys skiing, snowboarding, cycling with friends, and attending the local church. He is a proud member of the NZ Society of Anaesthesia and Sedation in Dentistry, NZ Dental Association, NZ Defence Force, and NZ Society of Forensic Odontology.